The remastered editions of the two main Homeworld games are out today, introducing a whole new generation to one of the greatest series in modern video games. So there's no better time to appreciate one of the things people love most about them: artist Rob Cunningham's work designing Homeworld's iconic ships. 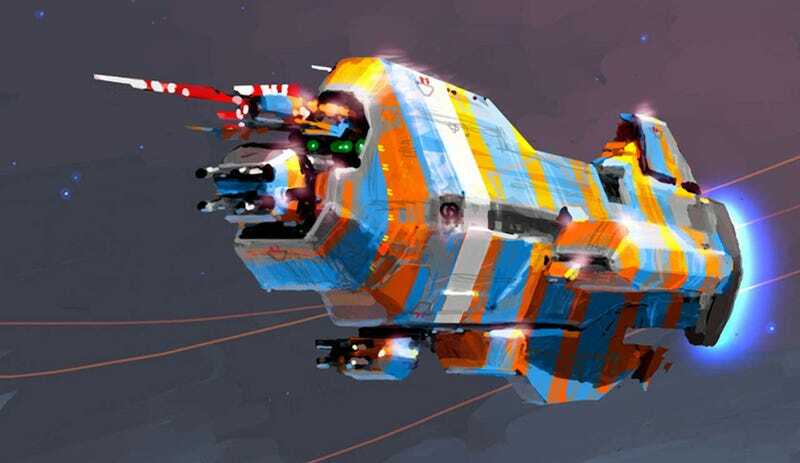 Cunningham, who is now working on a new Homeworld game, did some of these images (most courtesy of Encyclopedia Hiigara) over fifteen years ago, while others are a little more recent, as they were for the game's sequel. He was a co-founder of Homeworld's original developer, Relic (now more famous for Dawn of War and Company of Heroes), and worked as art director on both Homeworld and Homeworld 2 (Homeworld Cataclysm having been worked on by Barking Dog). This is some of, I believe, the best video game art ever produced, particularly in terms of how original and influential it's been, so I hope you enjoy it as much as I do. UPDATE: I'm seeing a lot of people on Twitter say this art reminds them of stuff like Chris Foss' art for Jodorowsky's Dune. That's because Foss' art was a big inspiration to the original artists on Homeworld! You can see more of Foss' work at his site.